Carey Hudspeth Marshall was born June 26, 1945 in Headland, Alabama to parents Dawkins and Anna Hudspeth. She attended school in Headland until she left in eighth grade to help on the family farm. When she was fifteen years old, she married her husband Franklin W. Marshall on 1961. Two years later, gave birth to her son Byron F. Marshall in 1963. They eventually moved to Jacksonville, Florida where she worked at Paramount Poultry/Cargill processing plant for thirty years. She retired in 1996 and became a forester mom in the early 2000’s. With her love for children and the influence from family and friends her heart led her to adopting Ariel J. Marshall. 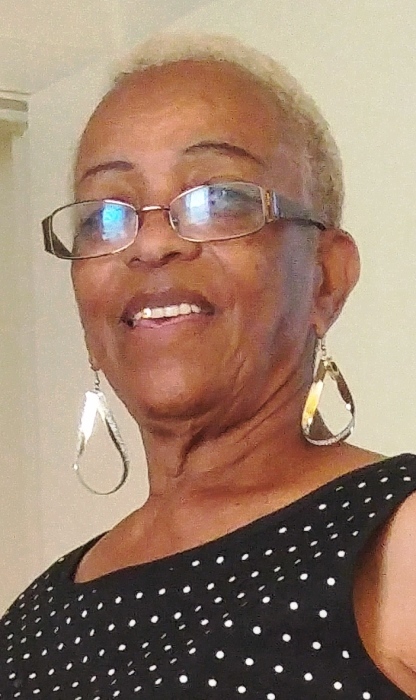 She attended Royal Tabernacle Missionary Baptist Church in Jacksonville, Florida Pastor Jeremiah Robinson, Sr. where she served as a member at the choir and a missionary. She also attended New Mt. Moriah Missionary Baptist Church Pastor Howard Valentine. She preceded in death by both of her parents; her husband: Franklin W. Marshall; son: Byron F. Marshall; sister: Elizabeth Hudspeth; three brothers: Marvine Mills, Kenneth and Alvin Hudspeth.